I have two problems in life. One is that I am never, not ever not in the mood for Asian food. The other is that I love too much. But this is about the first issue. When I want flavor, food I’m not going to feel too guilty about eating, and something fun in the kitchen I turn to Thailand, China, India. I feel bad for my friends who are never, not ever not hungry for pizza. Boo pizza. Tonight I need a curry. Heat 1 tablespoon of olive oil over medium high heat until just smoking. 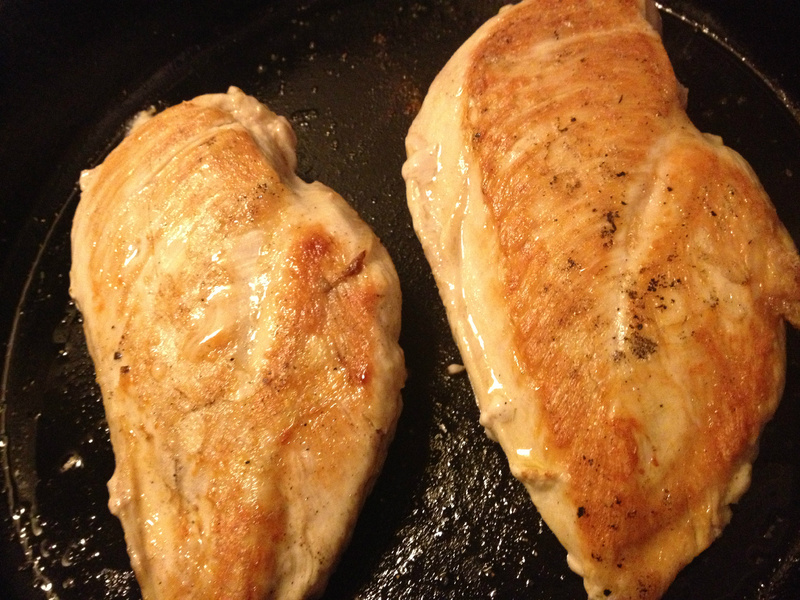 Drop the chicken breast into the pan, sprinkle with a little salt and pepper, and brown, about 4 minutes a side. You’re not looking to cook them through, just brown them. Remove from the pan and set aside. Add the remaining tablespoon of oil and heat over medium high. Add the chopped onion, garlic, ginger, and chili paste and sauté until softened, about 5-7 minutes. Add the curry paste and stir. Mix in the coconut milk, chicken stock, and lemon juice, stirring to combine. Turn heat to medium and let simmer until reduced, about 15 minutes or so; stir every 3 minutes or so. While that’s reducing, cut the chicken breast into 1 inch cubes. Add back to the simmering curry during the last 7-10 minutes of simmering until cooked through. I served mine over white jasmine rice with steamed peas, and broccoli, though if I had cauliflower it would have been far more fitting and traditional that the broccoli. I also sprinkled a little cilantro on top, just because I needed a little added color; parsley would have been good, too. 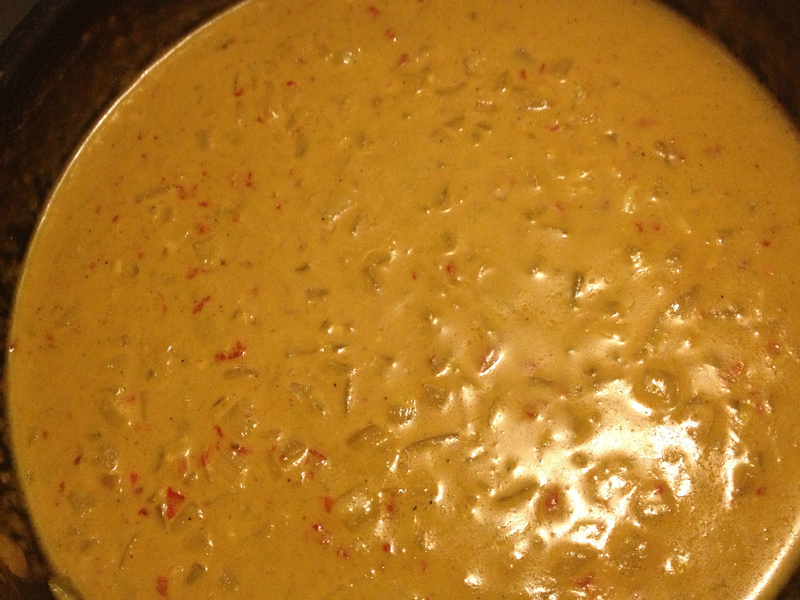 Awesome: Flavorful, spicy, creamy, rich, and bright. 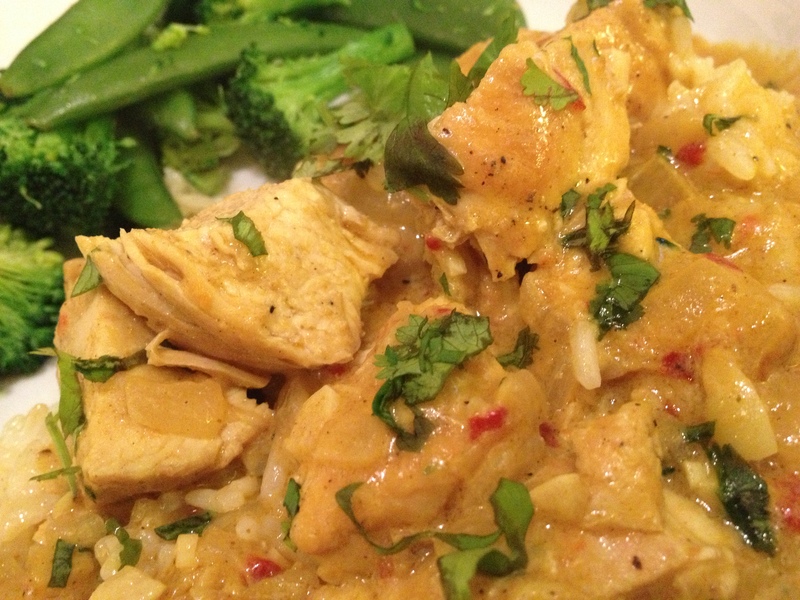 This entry was posted in Entertainment, Food, Recipes and tagged broccoli, chicken, coconut, curry, diet, dinner, easy, family, green, healthy, milk, party, spicy.